At Campsite Perlenau in Monschau (North Rhine-Westphalia) camping costs as little as €20,- per night during low season with CampingCard ACSI. At one of the 70 touring pitches you will get a discounted rate during the period 05-05-2019 - 29-05-2019, 23-06-2019 - 07-07-2019 and 24-08-2019 - 03-10-2019. At this campsite you can not only use your CampingCard ACSI for inexpensive camping, you can also use your ACSI Club ID (as an alternative ID). A campsite set in a valley in the middle of woodland. A lovely 1.5 km walk to the town of Monschau. Be sure not to miss a visit to the glass works. Stayed here in June 2017, the camp site wasn't heavily occupied and this made the facilities fine, however I would imagine if the site was busy there would be queues for toilets and showers. It was an easy walk from the site into Monschau which was a beautiful place to visit. Would you like to book Campsite Perlenau or request more information? You can do both using the information below or by visiting the campsite's website. 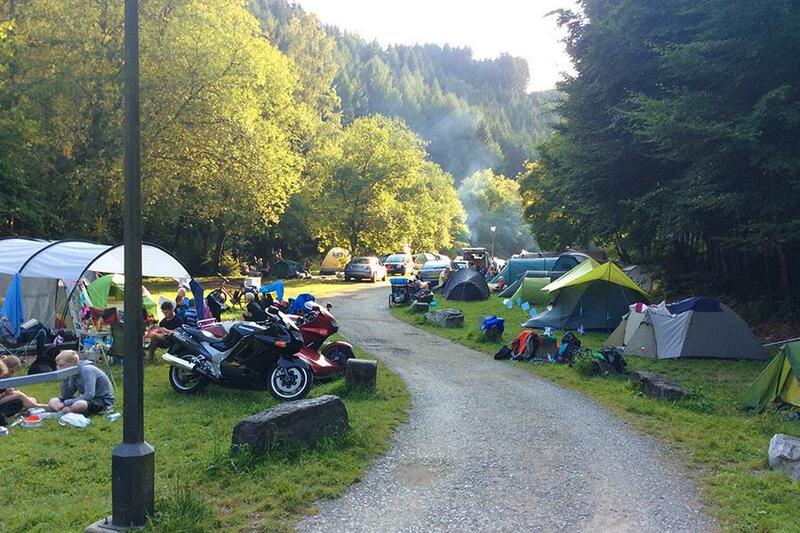 Campsite can be reached via B258 Monschau-Trier. Well signposted along the road. CampingCard ACSI will send your information request to "Campsite Perlenau".